Today’s publication follows public consultation on its draft proposals and draws new boundaries for each council ward across Crawley. 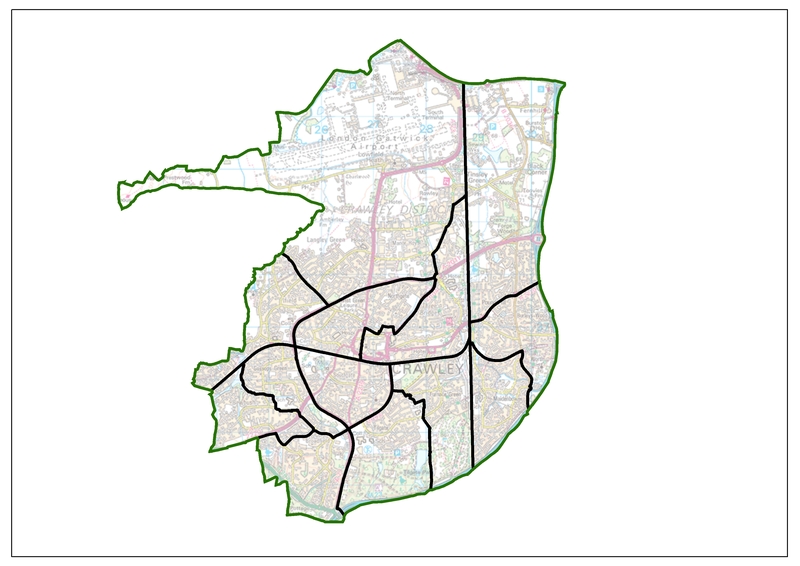 The boundaries of nine of Crawley’s current wards will change as a result of the review. The Commission’s final recommendations propose that Crawley should be represented by 36 borough councillors in the future: one fewer than the current arrangement. The recommendations also propose that those councillors should represent ten three-councillor wards and three two-councillor wards across the borough. For example, a large number of responses to the consultation objected to the Commission’s draft proposal to include an area around the Tushmore roundabout in the proposed Langley Green & Manor Royal ward. Local people and organisations argued that the A23 Crawley Avenue forms a strong boundary in this part of the borough and it should be used as a boundary in this case. The Commission has listened to those local views and has changed its proposal so that the A23 forms the boundary between the Langley Green & Tushmore and Northgate & West Green wards. In the south of the borough, the Commission has changed its proposals so that Burbeach Close should be part of a Bewbush ward rather than Gossops Green as previously proposed by the Commission. Local people argued that its inclusion would be a better reflection of community ties in this part of Crawley. The Commission has changed its proposals to accommodate those views. Elsewhere in Crawley, the Commission has made minor amendments to its draft recommendations to reflect local responses to the consultation. The electoral review of Crawley Borough Council is a separate undertaking from the review of parliamentary constituency boundaries which is being carried out by a separate body (Boundary Commission for England) under different rules and legislation. Full details of the Commission’s final recommendations (including maps) can be viewed at: www.lgbce.org.uk/all-reviews/south-east/west-sussex/crawley.